Too often, smaller advertising agencies go about their daily lives without having formal policies and procedures in place. But as you grow, a lack of appropriate policies can create risk and conflict. 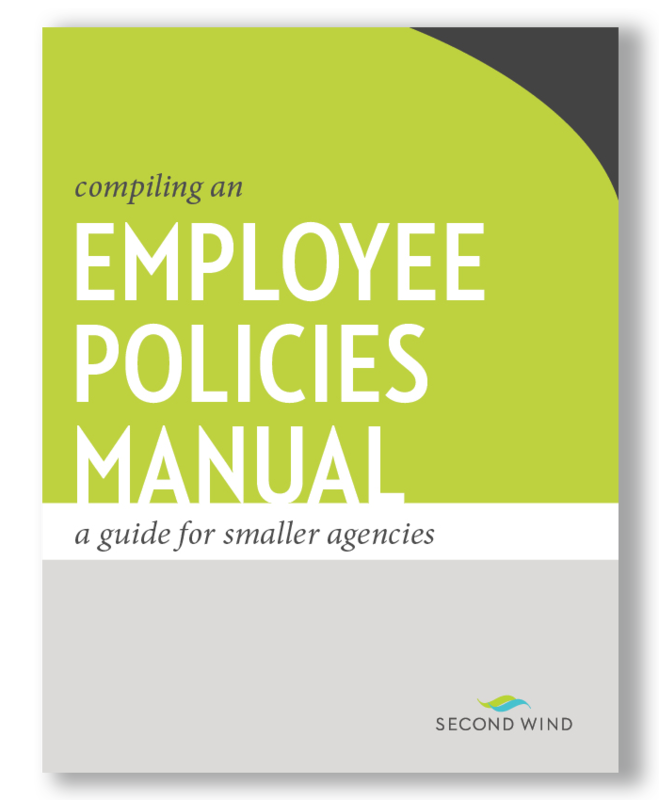 Second Wind has created a sample policies and procedures manual you can easily customize for your agency. Put your standards, practices and expectations in writing, so everyone is on the same page. 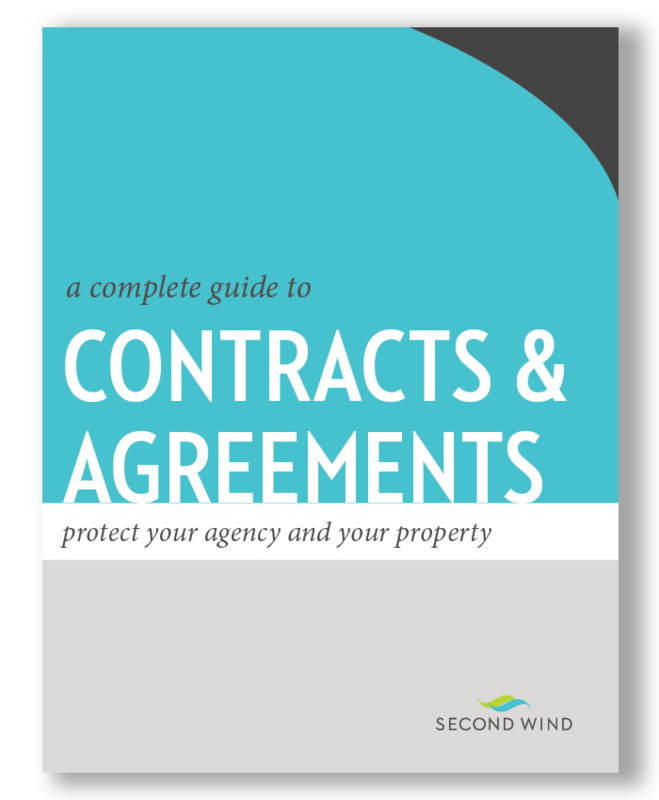 This report contains the most important contracts and agreements your agency needs to protect their business and property. It covers your relationships with clients, vendors, employees, strategic partners and more. Job descriptions let your employees know what you expect of them and the duties they will be responsible for. 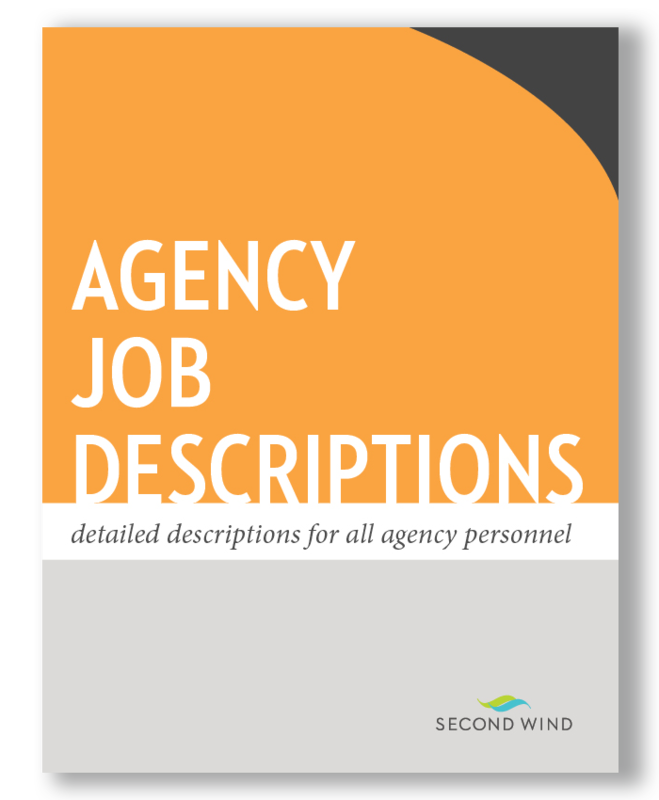 This report contains samples of typical small agency job descriptions to use as a basis for writing your own.